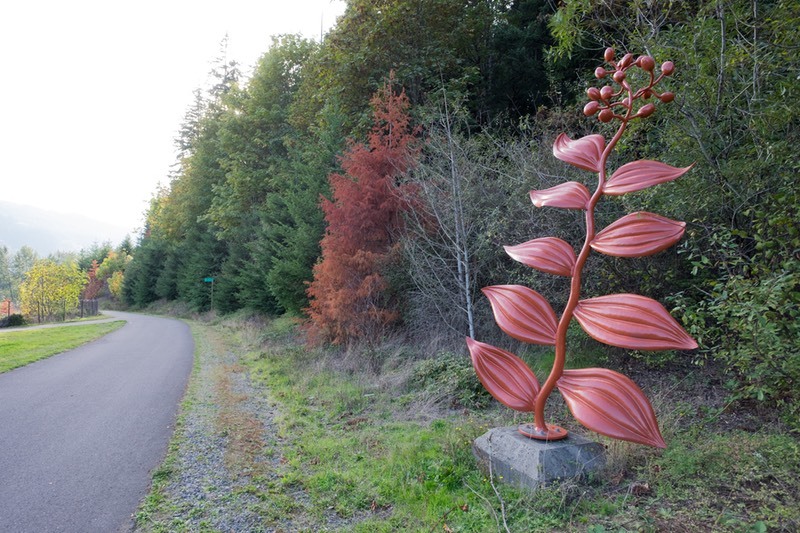 Starry Solomon's Plume,�One of Eight large sculptures installed along pedestrian trails near the base of Tiger Mountain at the I-90 Sunset Interchange in Issaquah, WA. Forged Steel, 10.5'h. x 7'w. x 2.5'd. �Commissioned by Sound Transit, Central Puget Sound Transit Authority, 2002.